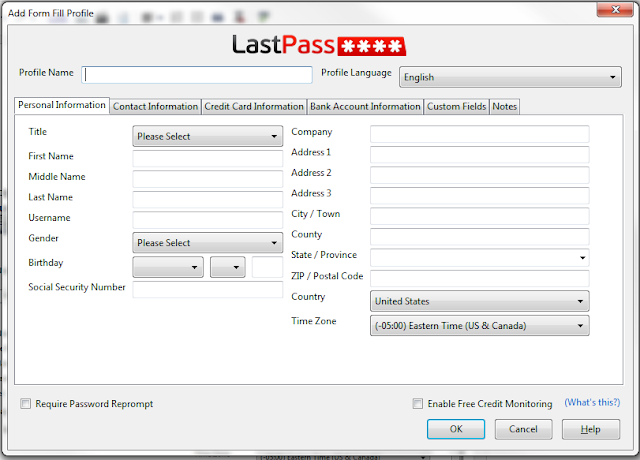 "I would like a lot more detail on how to make the LastPass Android app work with apps that require logons and passwords. 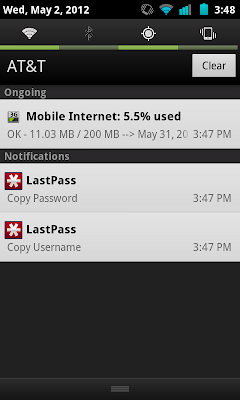 I love how LastPass works on my laptop and desktop machines; using it here has been second nature to me. But I find myself logging onto my phone's LastPass app and cutting and pasting. Surely there's a better way?" - Keith K.
A great question, since the mobile experience is inherently different than the desktop experience. Because the mobile platforms are more closed, we can't integrate into the mobile browsers and apps as easily. This means that LastPass can't "see" into those other browsers and apps in order to fill your data there, unless you're using Dolphin Browser or Firefox Mobile on Android, for which we do offer addons. The LastPass app does allow you to login, view your stored data, and tap an entry to launch it within the LastPass app, where LastPass can fill the data and you can login to your sites. 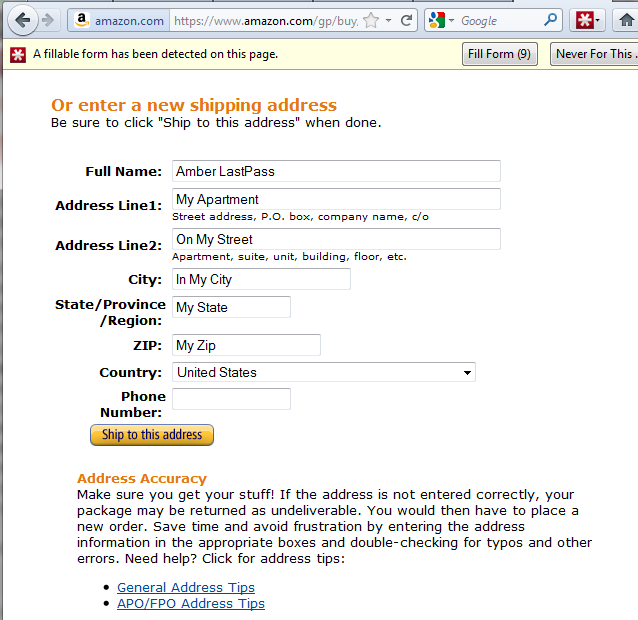 Copy-paste is one option for logging in on other apps or browsers. 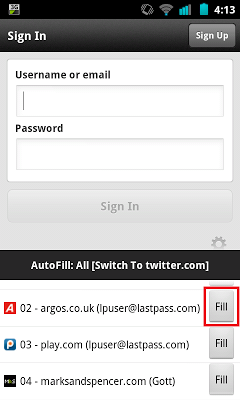 On Android, if you long-tap on a site entry in your LastPass app vault, you can choose the "copy username" or "copy password" options to then multitask back to another browser or app and paste there.There are, however, a few other alternatives on Android that may be more useful for your workflow. In the LastPass app, tap and hold on a site entry and select "copy notifications"
You can also set the "copy notifications" feature to be the default action for tapping your site entries in the LastPass app vault. In the vault, tap your device's "menu" button, select the "More" menu, then open the "Preferences", and set the "Default site action" to "Copy Notifications". Long-tap in the app field, and select "Input"
You can then switch your keyboard back at any time by long-tapping in a field, selecting the Input option, and switching to the default or another keyboard. We continue to look at ways to expand the feature set on mobile, and to expand integration with other browsers and keyboards (for example, we're waiting on Google to provide support for addons in Chrome mobile). Hopefully these tips will help improve your workflow on Android! 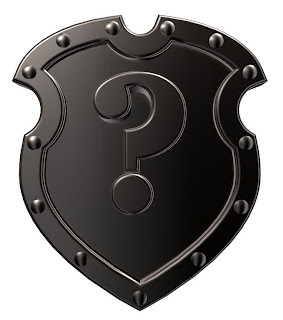 Have a question for the LastPass team? Let us know in comments or send us a note at marketing[at]lastpass.com. If we choose your question, you'll get a Tshirt! 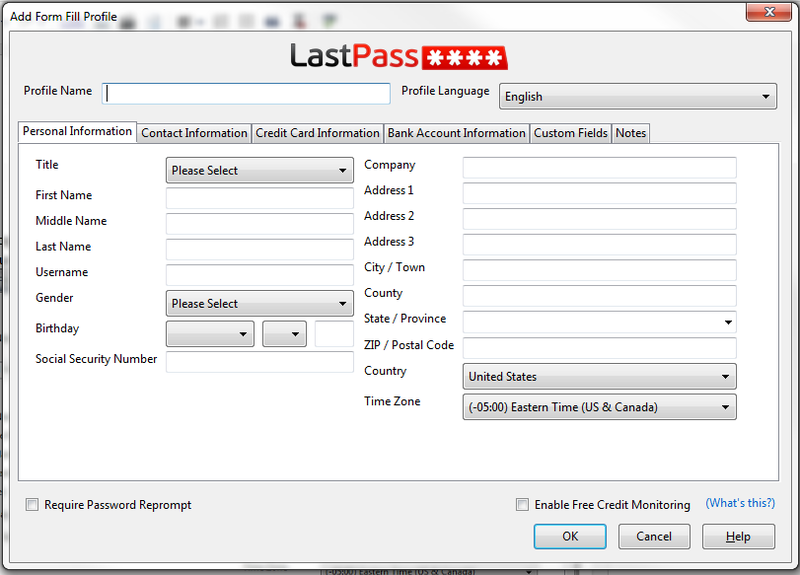 Click your LastPass browser icon, and select the "Fill Forms" menu to then choose "Add Profile" or "Add Credit Card". 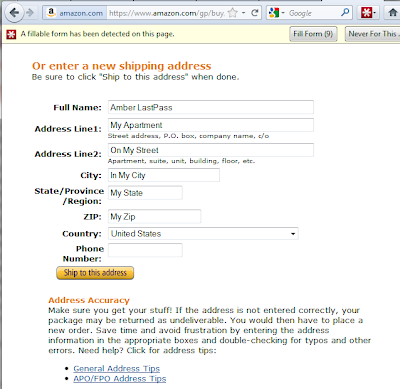 In the dialog box to create the form, you'll fill out all relevant details you may want filled for you, such as your name, address, and other contact information. 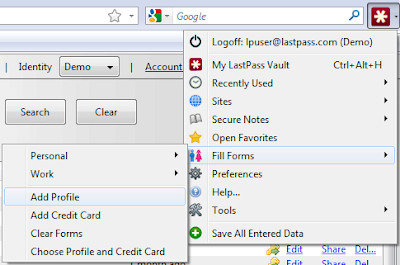 Once you've created a profile, LastPass will show the fill form notification menu when it recognizes you are on a site with a form. 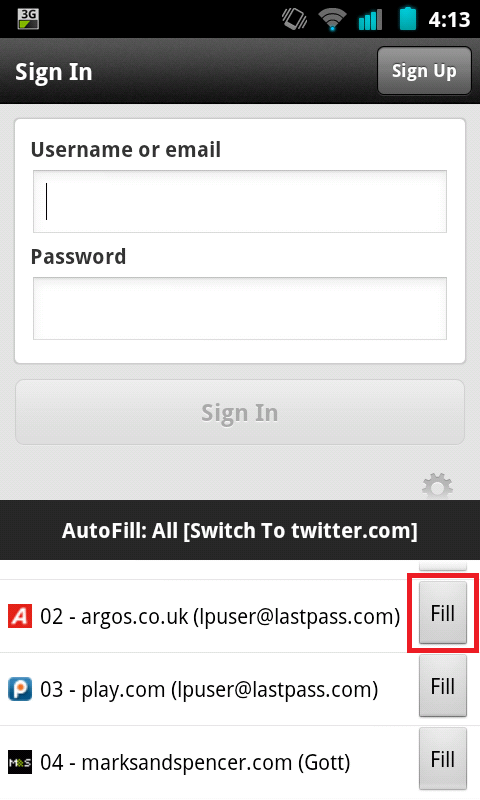 You can also click in the first field of a form to trigger the fill form notification. When the notification appears, you can click the "fill form" button, and select the profile you want to use on that page. It's that easy! 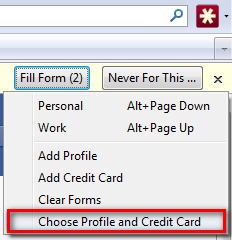 Mix and match profiles by selecting the "Choose profile and credit card" option in the notification menu. Select the "default form fill profile" option in the Preferences menu of the LastPass browser icon. You can then set the hotkey for the default profile in the Hotkeys tab (such as Ctrl + Alt + T). Next time you need to autofill your default form fill profile, you can simply use the hotkey.